This is my review of the American Express Platinum Cashback and American Express Platinum Cashback Everyday credit cards. Head for Points is primarily about earning airline miles or hotel loyalty points, and earning points via your credit card spend is an important part of that. It is important to take the occasional reality check, though. It is pointless collecting airline miles from a credit card if you could get a substantially better deal with a cashback credit card instead. With that in mind, I thought it was time to take a look at the Amex cashback offering, which consists of two different Platinum Cashback credit cards. The Platinum Cashback credit card has a representative APR of 28.2% variable, including the £25 fee, based on a notional £1,200 credit limit. The interest rate on purchases is 22.9% variable. The Platinum Cashback Everyday credit card has a representative APR of 22.9% variable. “Is it worth getting this card just to benefit from the sign-up bonus? What is the difference between the Amex Platinum Cashback and the Amex Platinum Cashback Everyday cards? Basically, the annual fee and the cashback tiers. The Cashback card comes with a £25 annual fee. The Cashback Everyday card does not. Cashback is paid in a lump sum at the end of each card year. Which is the best Amex cashback card to get? Time for a quick bit of maths. The break-even point for getting the £25 card is £10,000 of spending per year. For everyone except the highest spenders, you are better off with the free Platinum Cashback Everyday card. The Amex Platinum Cashback card pays you 5% back on your spending in the first three months, to a maximum spend of £2,500 (so capped at £125 back). The Amex Platinum Cashback Everyday card pays you 5% back on your spending in the first three months, to a maximum spend of £2,000 (so capped at £100 back). However, unless you are planning on spending over £10,000 between month 4 and month 12, I would not necessarily be tempted by the extra £25 as the free card is better in the long term. What more should I know about the Amex cashback cards? You do not receive your cashback month by month. Instead, it is paid onto your Amex statement at the end of each card year. However, this does not mean that it is more difficult to cancel the Cashback card with the £25 fee. This is because Amex will refund your fee, pro-rata, when you cancel. If you feel like dumping the card at any point, wait until the start of your next card year for the cashback from the previous year to arrive. You can then cancel, and should get back at least £23 of your £25 fee as a pro-rata refund. What alternative cards are worth a look? 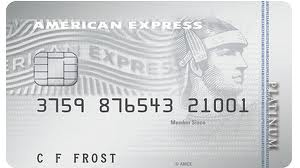 The American Express Platinum Cashback cards are the highest paying cashback cards currently available in the UK. However, American Express is not accepted everywhere, and you will need a Visa or Mastercard as a fall-back option. The best non-Amex cashback cards are the Amazon and John Lewis Partnership cards which both pay 0.5% in gift vouchers and are free. The application form for the Platinum Cashback (£25 fee) card is here. The application form for the Platinum Cashback Everyday (no fee) card is here. Good BA credit cards launch in France and Italy - why aren't fintech firms entering our broken market?